Check out my updated post HERE for this lesson plan! 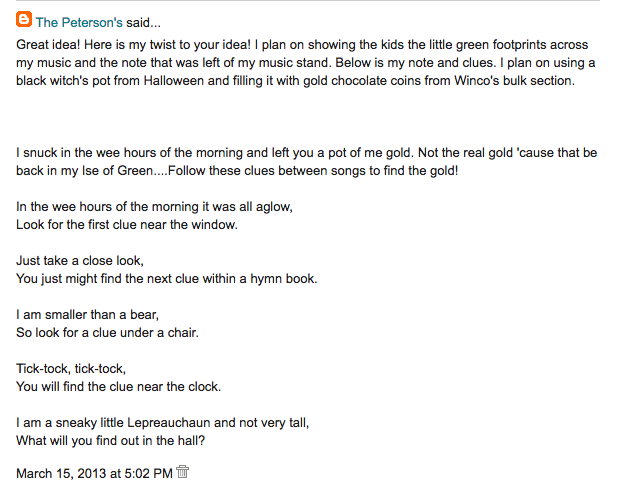 I'm dusting off another annual activity for St. Patrick's Day...A Treasure Hunt! It's a hit no matter how many times I do it. I've done small variations over the years for variety so if you've tweaked something to change it up, I'd love to hear! You can find my original treasure hunt activity HERE. The only documents that need switching out are the Envelope Tags that contain the 2017 songs. Those can be found HERE. Everything else is reusable (I LOVE it!) . Well, I suppose the chocolate isn't either ;). For this year's variation, I will be introducing our April 2017 song (When He Comes Again) that I will have them listen to on CD and they can sing along if they like. I've written a post on the wands I use HERE in case you need help with that portion of the activity. Also what I've included into this singing time is while we wait for a class who is out hunting, the rest of the primary sings a wiggle song from my Wiggle Worm. Find my Wiggle Worm jar HERE. 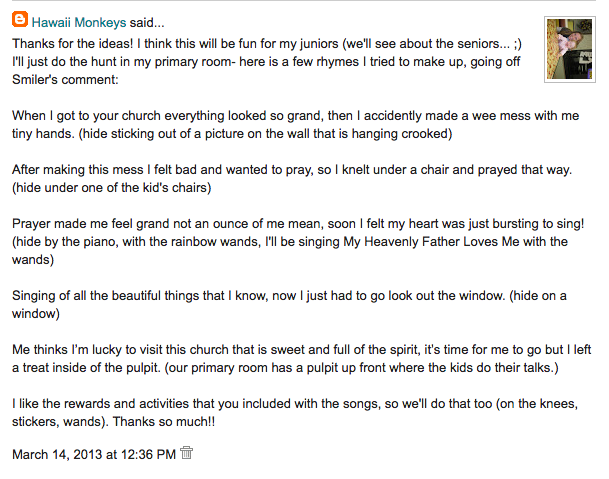 If hunting around the church building isn't feesable (your primary is too big/young, the ward building too full, etc. ), I'd suggest a simplified version I did one year HERE. It's all the singing activities found in the treasure hunt, just omitting the hunting. The updated documents for this year can be found HERE. 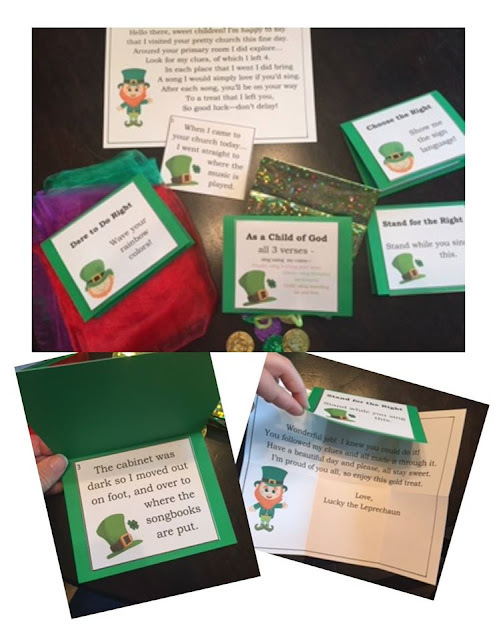 The first page is for an optional St. Patrick's Day "Hot 'n Cold" singing time if you really want a simple St. Patrick's Day themed singing time (find details on that activity HERE). The last page is a blank page in case you want/need to write up anything that is different from what I have. If you have anything to share, please do! 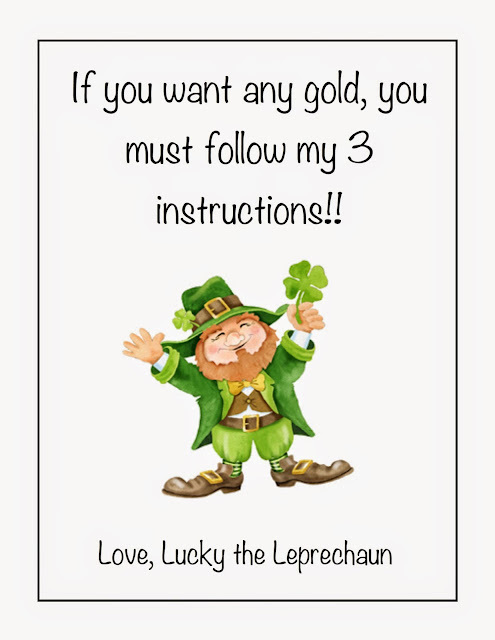 Happy St. Patrick's Day and happy singing!! What is the sign for CTR? I'm not quite sure what you are asking - do you mind clarifiying? Are you asking for an ASL sign for the phrase "choose the right" or are you wanting actions/signs for the song, Choose the Right?